The song Poster Lagwa Do from the film Luka Chuppi(2019) released on 28 Jan 2019 with a duration of 02 minutes and 58 seconds. 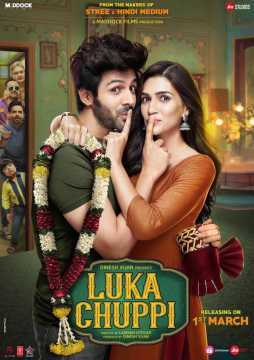 Poster Lagwa Do is picturized on Kartik Aaryan, Kriti Sanon, Akshay Kumar, Pankaj Tripathi, Vinay Pathak, Aparshakti Khurana and Alka Amin. It has been sung by Mika Singh, Sunanda Sharma and Nikhita Gandhi.